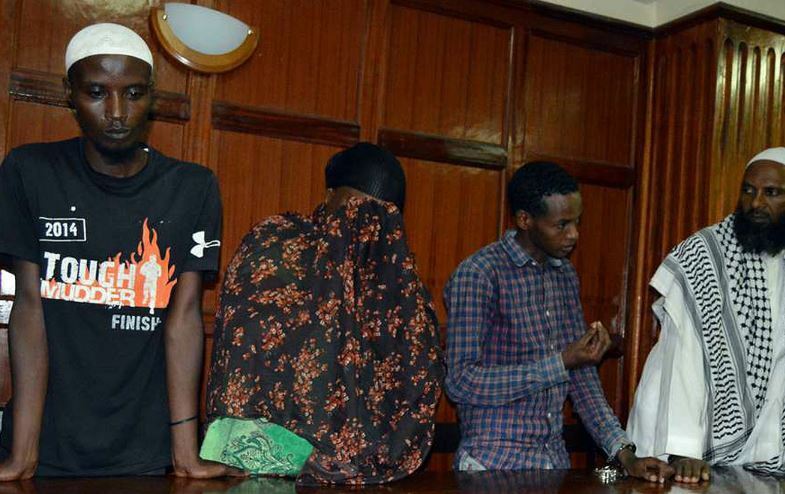 Sakina Mariam Abdalla, the mother of the mastermind of Dusit terror attack Ali Salim Gichunge, was on Monday freed on a Ksh1 million bail with an alternative bond of Ksh2 million. Ms Abdalla was accused that on diverse dates between 2015 and 2019 at Kula Mawe in Isiolo County, she declined to disclose information pertaining to the whereabouts of Mr Gichunge. The prosecution told the court that the information which was within her knowledge would have been used to prevent the 14 Riverside drive terror attack. Milimani Chief Magistrate Martha Mutuku directed Ms Abdalla to deposit all her travel documents with the court, not to contact any witnesses in the case and to report to the Anti-Terrorism Police Unit (ATPU) every month pending conclusion of the case. The Magistrate stated that a breach of any of the set conditions will lead to cancellation of her bail/bond. The case will be mentioned on April 1, 2019, for purposes of pretrial proceedings. During her arraignment in Court last month, the prosecution said scrutiny of Ms Abdalla’s phone’s call data confirmed that her phone number was in constant communications with several phone numbers located in Somalia. Investigators believe she was communicating with her son.